Delaware is a coastal state. Most of the land in Delaware is flat and close to sea-level. Our underlying water table is generally high. 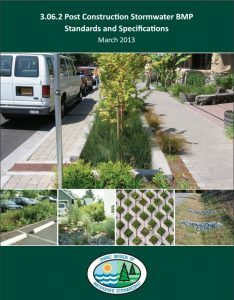 As a result, drainage and the management of stormwater are important considerations in land use planning, construction, and agriculture. 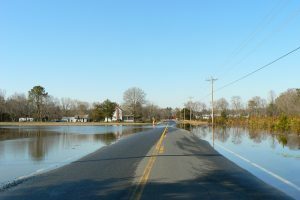 The Department of Natural Resources and Environmental Control (DNREC) works with other state agencies, with county and municipal governments, and with partners in the private sector to ensure that Delawareans are safe from flooding events, and that water draining from the land is properly controlled and filtered to remove pollutants. DNREC oversees drainage, control of sediment and stormwater, management of tax ditches, and the safety of the state’s dams. “Tax Ditch” is a general term used to describe both a system of engineered ditches used to manage stormwater and drainage for a specific area and the political subdivision of state government by which each system of ditches is governed. Delaware tax ditches are established under Delaware state law (7 Del. Code, Chapter 41). Each of Delaware’s more than 200 Tax Ditches is overseen by a board of Tax Ditch Managers selected from among the landowners of the lands to be drained by the ditch system. 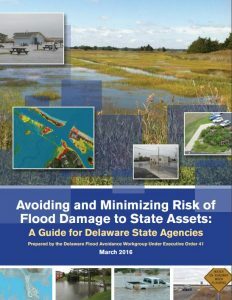 It is Delaware landowners who ultimately will make the greatest difference in controlling flooding and managing stormwater and sediments. To help guide their efforts, the Division of Watershed Stewardship provides technical assistance and training, and oversees regulations related to sediment and stormwater, under the Erosion and Sedimentation Control Act (7 Del. Code, Chapter 40). DNREC works closely with three county-level Conservation Districts to help implement agricultural and urban/suburban conservation programs, provide technical assistance to landowners,and to provide regulatory review of sediment and stormwater activities. The Districts are established in Delaware state law (7 Del. Code, Chapter 39) and interface with DNREC through the Conservation Programs Section.